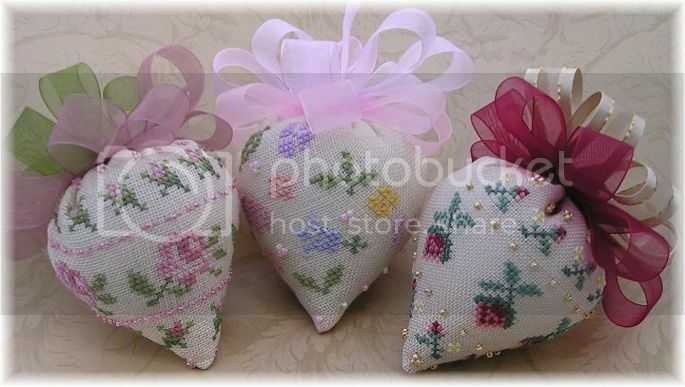 Little Stitches designs always incorporate speciality threads, beads, ribbons and charms into the needlework designs. They are small designs that are in PDF format and are delivered through emails with accessory packs.The accessory packs will be mailed. You can view my designs at my blog here.There is also a photobucket album of my designs here as well.If you have any questions, please feel free to email me.